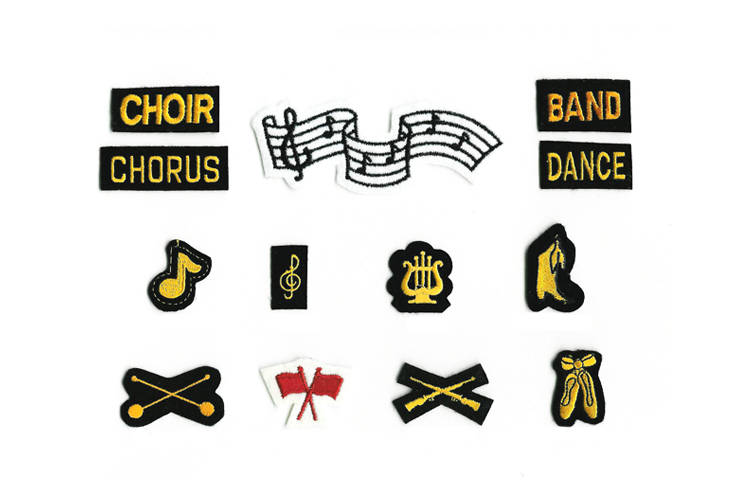 Also available: pins, Swiss-embroidered emblems, and screen-processed pennants. 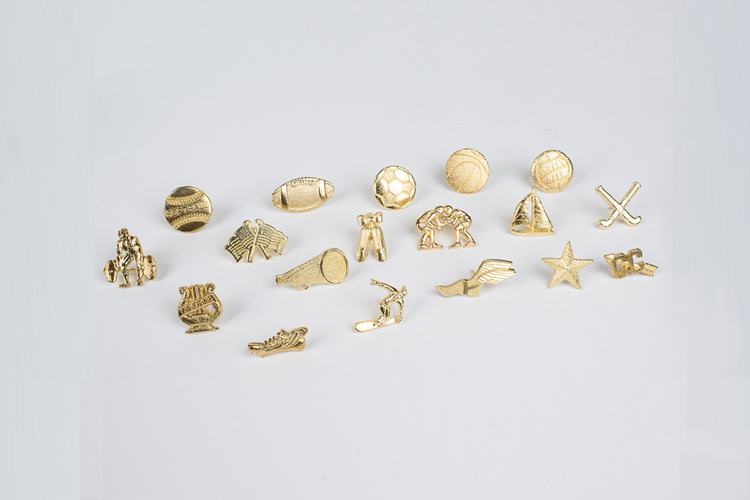 This gold-plated metal pin with clutch back is offered for most sports and activities. The metal emblem easily attaches to a letter award or any other fabric. 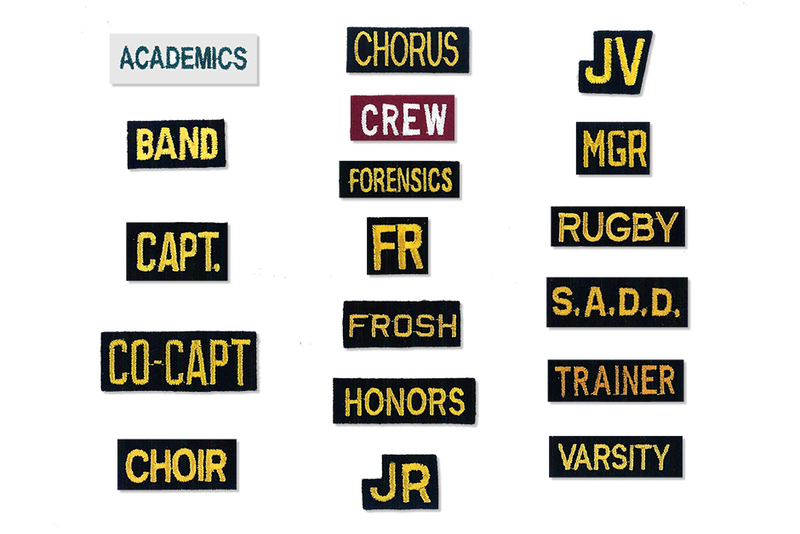 Metal emblems are a stock item and available for immediate delivery. Sold in lots of 25 each; extra charge for individual pieces. Available for a wide variety sports and activities, this award can be ordered loose or sewn on to your letter awards and emblems. If you're looking for an activity that you don't see in these photos, please leave a note when you request a quote below. Most colors are stock items and available for immediate delivery. Custom colors available. A traditional sports souvenir. Finely detailed screen processing on synthetic felt in your choice of colors.